This is our largest suite – luxurious and sunny with its own private sitting room. 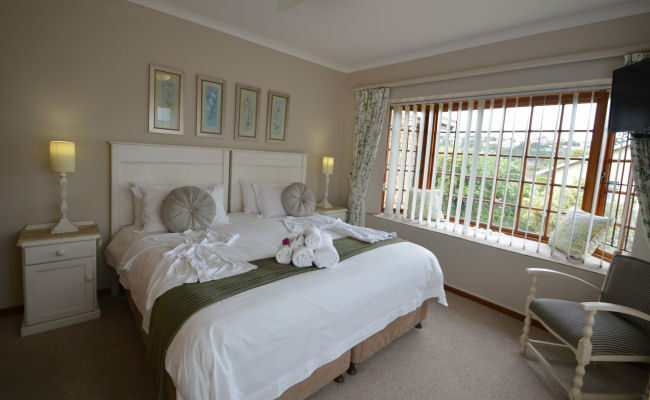 Overlooking our tranquil gardens, the bay window adds to the spaciousness of this room. 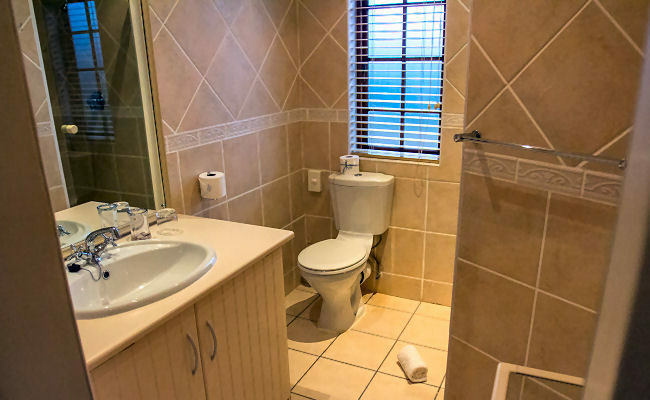 The en-suite bathroom has a roomy shower with tiled seating so you can enjoy your splash time in comfort and there is a dressing room with plenty of cupboard space. 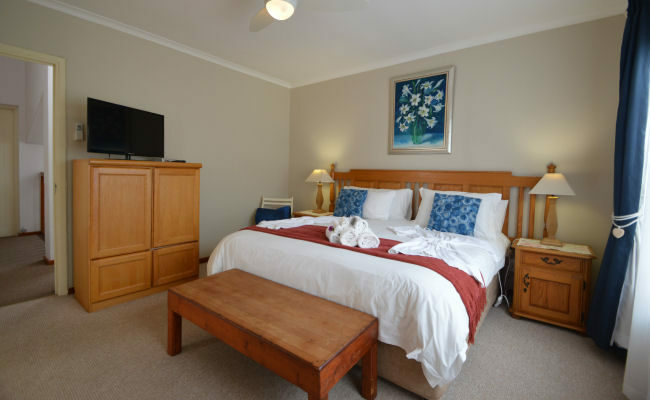 Mini-safe, fridge, television, tea/coffee making facilities, snack basket, under-carpet heating, overhead fan, beach towels, percale linen, bath robes and guest amenities are provided. 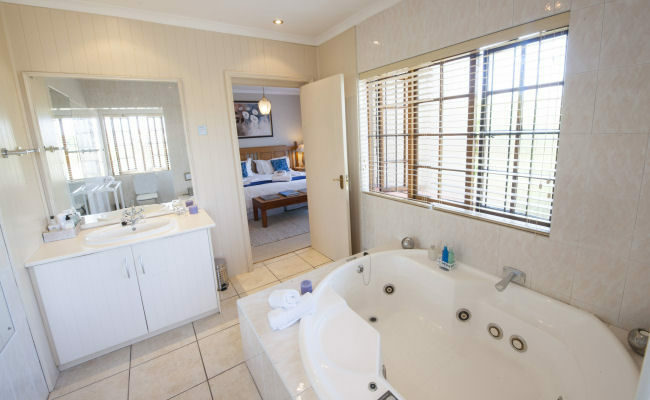 Our honeymoon suite with Jacuzzi spa bath and shower in the large en suite bathroom makes this a sought-after choice. Honeymooners receive some extra special treatment! 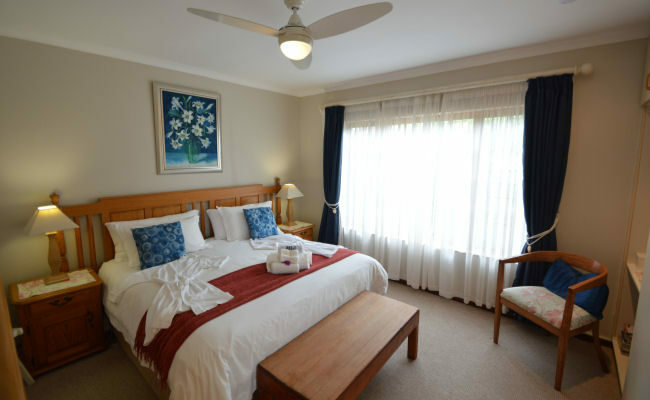 Mini-safe, fridge, television, tea/coffee making facilities, snack basket, under-carpet heating, overhead fan, beach towels, percale linen, bath robes and guest amenities are provided. Popular for families or friends travelling together, this two bedroom suite has bay windows and views of our front garden. 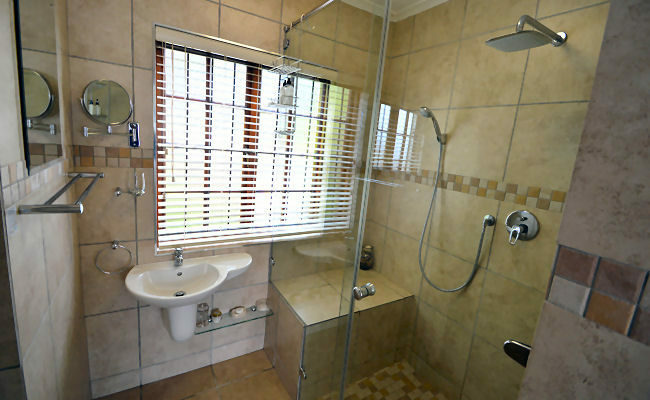 The shared en-suite bathroom has a bath, shower and twin basins. 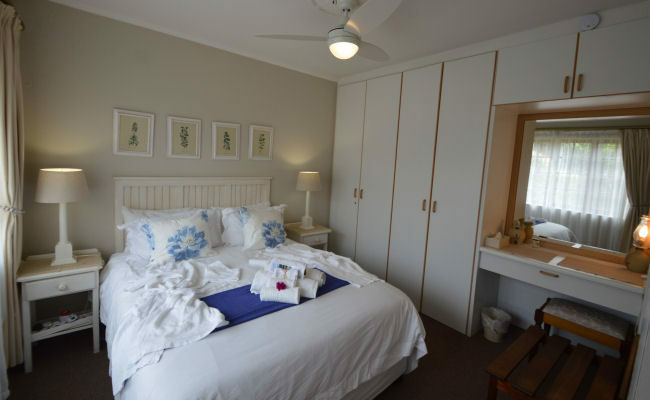 Mini-safe, fridge, television, tea/coffee making facilities, snack basket, under-carpet heating, overhead fan, beach towels, percale linen, bath robes and guest amenities are provided. 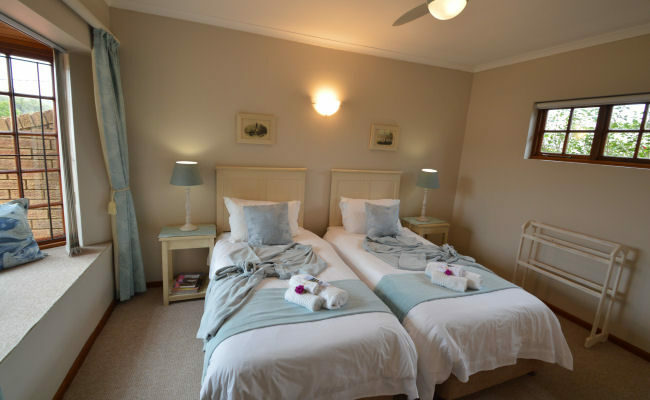 Finch Cottage is set apart from the main lodge close to the (enclosed) swimming pool. 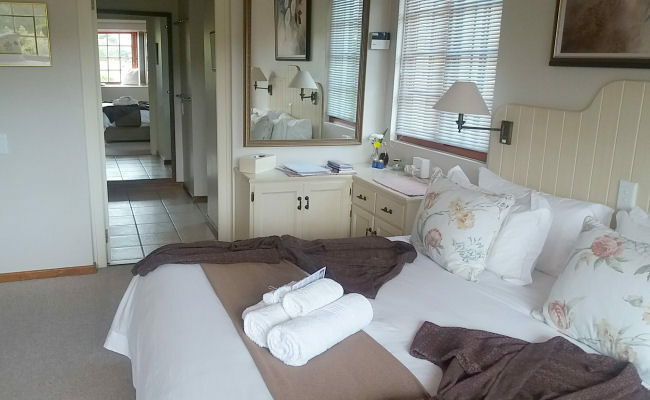 It offers a patio and barbecue area and is most favoured by couples wanting privacy and the additional self-catering option. The afternoon sun streams into the attractive bedroom with its en-suite bathroom neatly tucked away behind cupboard doors. 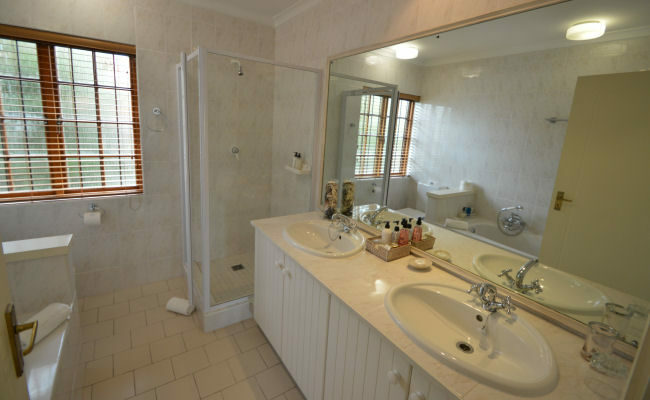 The bathroom has been extended and completely refurbished, it now offers a walk in shower with seat/shelf and two shower heads (one fixed and one moveable) and a separate toilet. 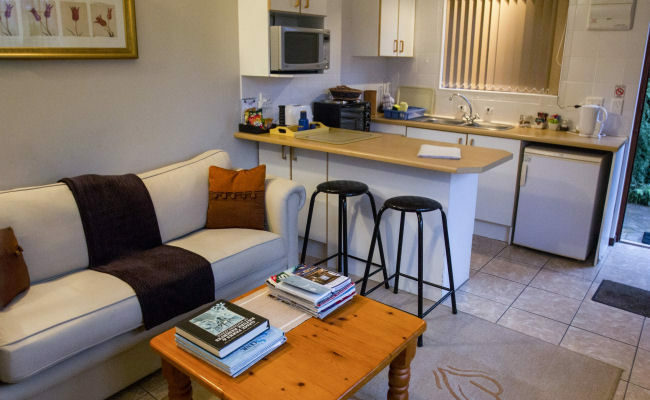 The lounge has a sleeper couch and the kitchen is well equipped with microwave, counter top stove and oven, fridge and all utensils. 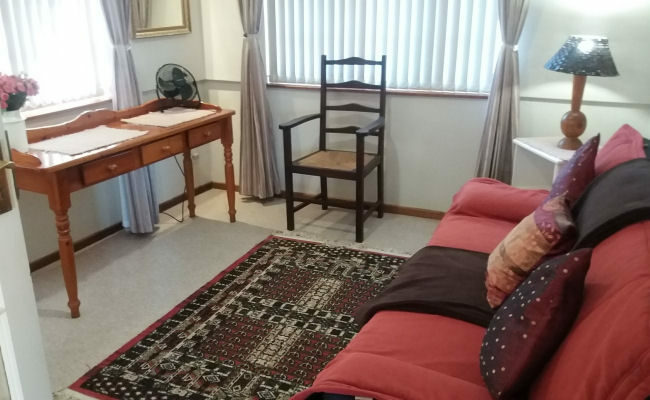 Mini-safe, tea/coffee making facilities, snack basket, under-carpet heating, overhead fan, beach towels, percale linen, bath robes and guest amenities are provided.